Bring your family to beautiful Summit View Resort to stay in "Simply the Smokies!" 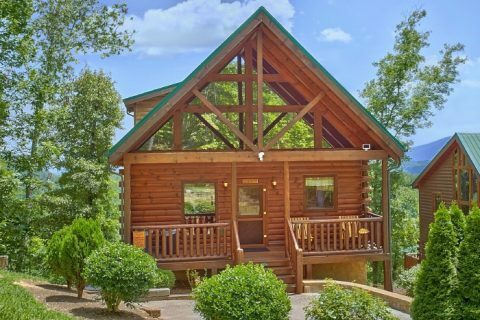 This 4 bedroom cabin rental comfortably accommodates 12 guests, making it an ideal cabin for getting away with your family or getting together with a great group of friends. 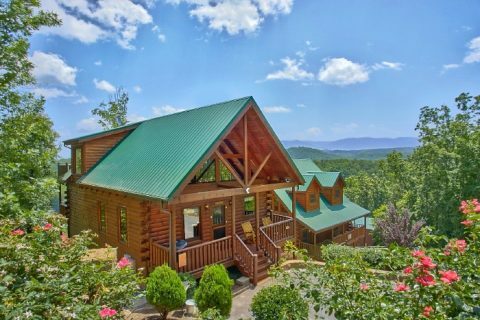 With plenty of space for playing and relaxing, this spacious luxury cabin in the Upper Middle Creek Rd. 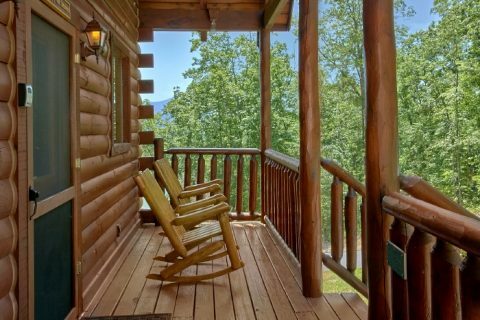 area of the Smoky Mountains offers a prime location for experiencing the beauty of East Tennessee. 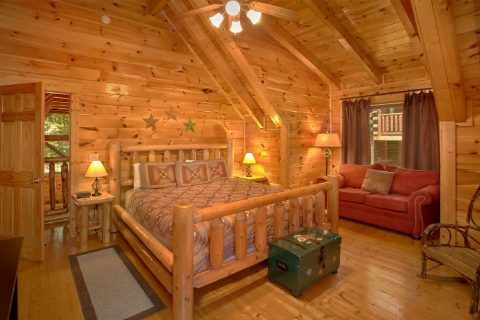 Better yet, this cabin places guests close to the top attractions in the region! 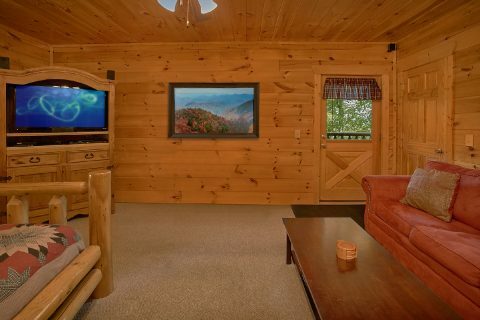 Riding coasters at Dollywood, visiting Downtown Gatlinburg, or hiking in the national park are all easy to enjoy from this convenient cabin in the mountains. 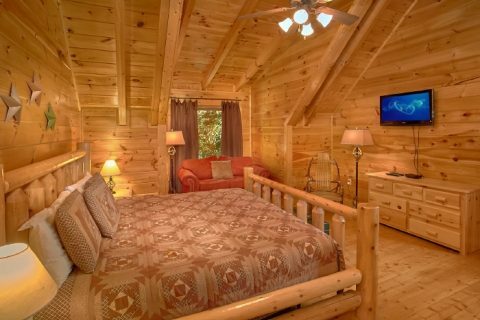 Having tons of fun on your trip can take a lot of energy, but luckily this premium log cabin is the ideal place for unwinding just the way you like. 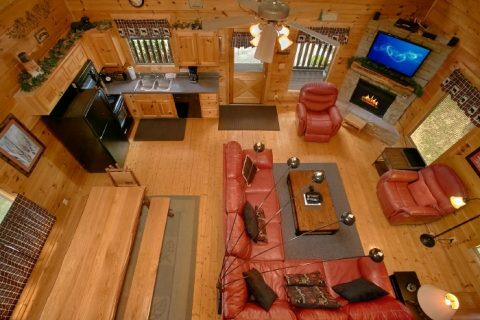 Watch a good movie in the living room on the television above the fireplace that comes with surround sound and a Blu-ray player. 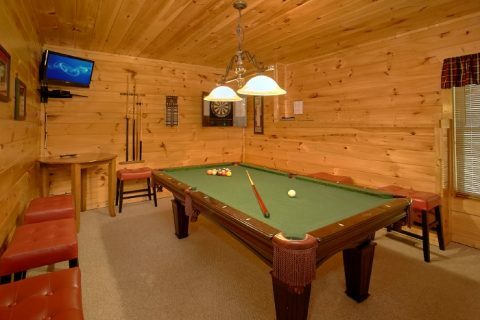 Enjoy playing electric darts or a game of billiards in the game room. 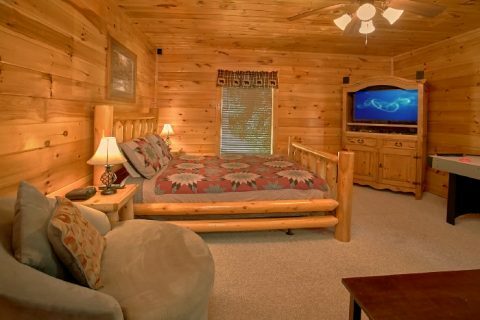 Additionally, one of the lower level bedrooms offers an air hockey table! 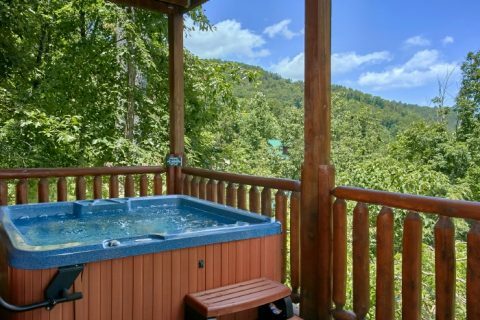 Sink down into the hot tub and watch the sun set on another incredible day in the Smokies. 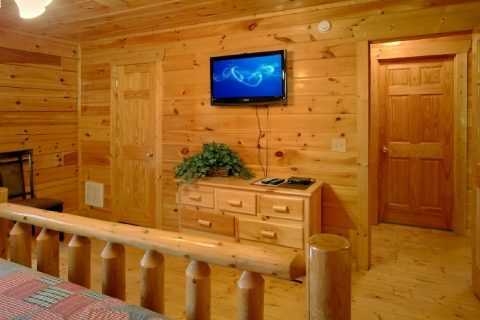 WiFi Internet is provided in this cabin for streaming your favorite entertainment. 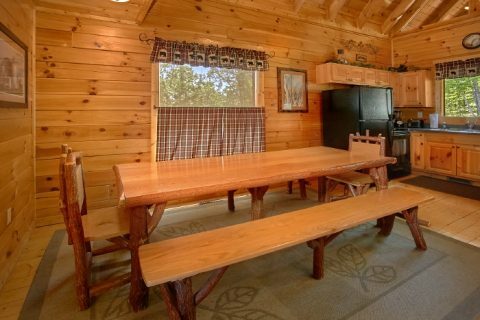 You can stay well fed on your vacation since excellent local restaurants are only a short drive away! 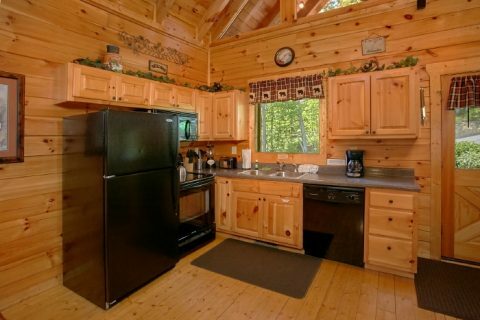 This rental's kitchen can also help you cut costs since you can prepare delicious dinners in the comfort of your cabin. 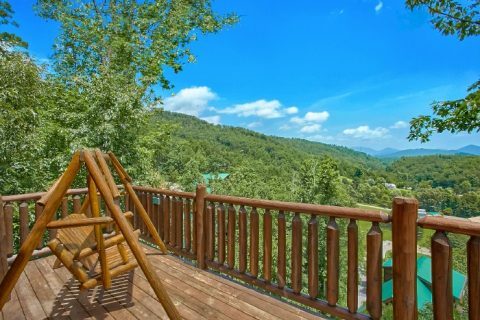 A charcoal grill is also provided so you can hold a cookout in the mountains! 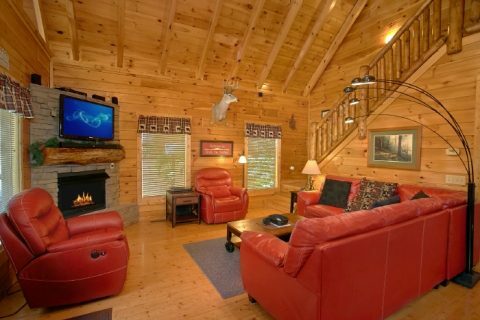 When it's time to rest up for another awesome day in Gatlinburg or Pigeon Forge, retire to one of your cabin's 4 bedrooms. 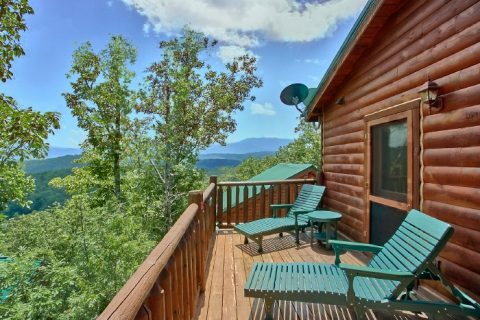 You'll enjoy the privacy offered by this cabin's two king bedrooms with full baths on the main and upper levels of your cabin. 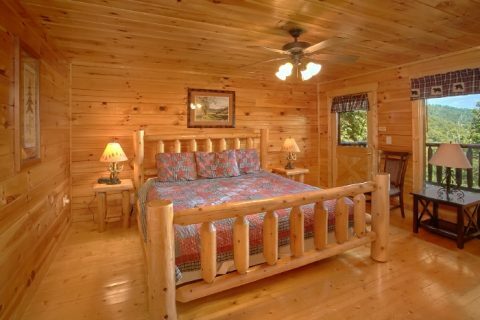 Both of these bedrooms have access to full baths that come with over-sized jetted tubs for relaxing in private. 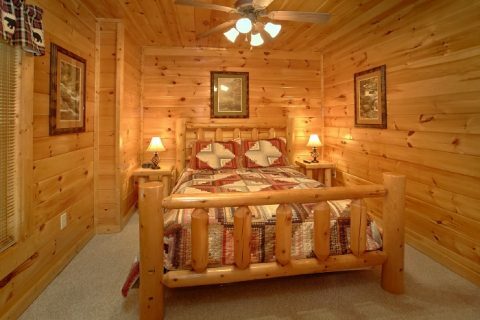 On the lower level, there are two queen-size bedrooms. 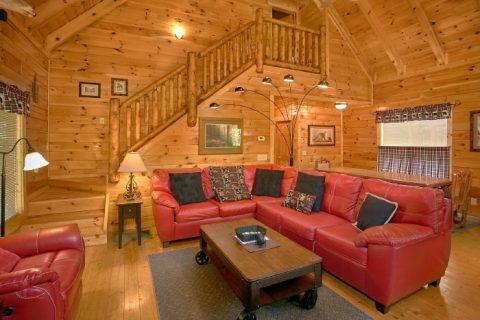 With additional two sleeper sofas in the living area and one of the downstairs bedrooms respectively, your cabin in the Smoky Mountains can sleep up to 12 guests! 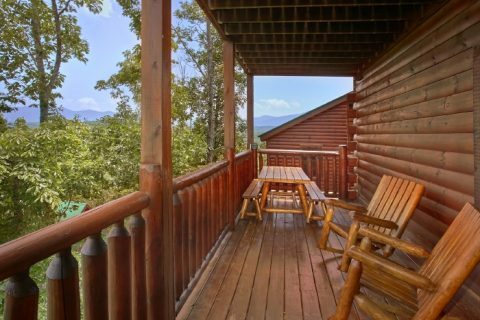 Enjoy a stunning view, great cabin comforts, and a special 15% discount when you book your resort cabin online with Cabins USA Gatlinburg!